I have a form that needs authorization for certain of its controls. When the form opens a text control contains the users ID of the person who opened the DB, (we will call it UserID). TekTips gave me this code-thanks. I use a simple VBA code to check for specific User ID's, if they match the restricted controls become active. This check code is stored on the On Current event of the Form. This is fine if I want to change the VBA code every time a user is added or removed. So, I built a table to store the authorized userID's The table is called Access_control. The ID's are stored in a field called "User". This way the list of user's can be administered by one of the DB users. Changes to this table are password protected and only 1 or 2 people have the password. So, I need VBA code that runs when the form is opened should compare the forms UsetID field to the Access_control table, User field to see it it matches one of the table entries. If it matches, the restricted controls are enabled. I am using MS Office 2013 and this DB is to be used at work. OR...is there a better way to control access to the restricted controls? I anxiously look forward to your replies...please include sample code. I have heard of Tags before but never used them. This sounds good. Question: Can you break down the statememt blnIsAdminUser = Len(DLookup("Access_control", "User", "User = " & UserId)) so I can understand why it needs Len and "& UserID. The table that stores the User will be exactly like the control on the form that shows UserID. It is a programming trick to turn the result of the lookup into a Boolean value - True if the lookup finds a match, False if it does not. That DLoopkup will return something - if found, and nothing if nothing is found. It is little known fact that Boolean is False = 0, and True when any other value than 0. So whatever your DLookup will return, you can easily turn it into a Boolean value (of False or True) and use it to Enabled some controls with certain Tag. "I have heard of Tags before but never used them." OK I have given this a try and I am getting a type mismatch. Also, my apologizes but I had some names wrong in the initial post. Table Name - "MetUsers" Field Name in table "UserID". On the Form the button control "MET" is not visible and will become visible if table field "UserID" and text box "User" match. Since both the table field and Form control are text I used this code that Andy supplied above. When the form opens the on current event runs the code and I get the type mismatch. Can you show me where I am off please. Also for the If statement I changed to this (make visible instead of enable. Will this work assuming I can get this far in the code. 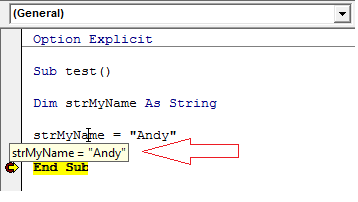 The "*" after User should be "&"
Andy, I installed your suggestion and I still get a type match error when I run the code. Here is the complete code as it stands now. Remember UserID and User are both text fields. One is from the table and the other is stored in the Form text box. I run this code for the form using the ON CURRENT event Could this be causing a problem? Also is the code below the bad part look OK. Instead of enabling the control/s I am making it visible. Step thru your code line by line and - if you have an error - let us know which line of code creates what error. There might be an issue with attempting to find the length of a null value. I hear you Andy and I did get the code to run, sort of. At the time I was typing your code in and my old eyes deceived me. But I finally got it in correctly I believe. I am a "he" by the way. So, on-words. As I said, I ran the code and got a null response. I am using my own UserID of course. What values should I expect blnIsAdminUser = Len(DLookup("UserID", "MetUsers", "UserID = '" & User & "'")) to return. By the way, I then tried Duan's code and got the same results. I appreciate you guys sticking with me. Compile your code after every change. OK, Dummy me. Exactly where at the top of the module does the "Option Explicit" go? See total code below. I corrected the code and it works. Here is the complete code (I will comment out the MsgBox's later). Code is run for the On Current Event of a Form. Option Explicit - you should have it for all code in every Form, Module, etc. Either the very first line, or second (like Duanne showed you). For all new development, you want to go to Tools - Options - Editor tab, and check "Require Variable Declaration" check box. "I corrected the code and it works" - that's where Copy / Paste would save you time and effort. You can also put some break points in your code, and when stopped - hover over the variable to see its value. OK, I checked Tools - Options - Editor Tab and the Require Variable Declaration check box. Again, please be patient, Where to I type Option Explicit? Duane said at the top of the page but the code page does not like it? Or did the check box do it? Also, in short, what does it do? Specifying Option Explicit checks the spelling of your memory variables when you compile (which you need to do regularly). "what does it do?" - requires you to declare all variables that you use in the code. So you cannot use anything not declared, and also you cannot misspell the names of your variables.